Richard is a mediator and arbitrator, and has mediated a wide range of disputes, including personal and economic negligence, motor vehicle accidents, property damage, business disputes, compensation, general commercial matters, contract interpretations, insurance coverage, and franchise issues. Richard is an experienced arbitrator of commercial matters, including insurance coverage, dealership agreements, general contract interpretation, and damages. He is on the List of Arbitrators for the Canadian Transportation Agency. Richard practiced as a civil litigator for over 45 years. 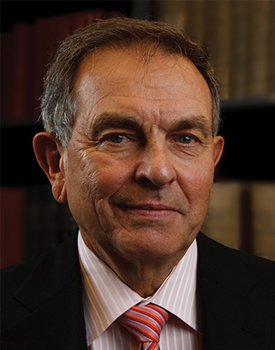 He was appointed as Queen’s Counsel in 1978, certified as a specialist in civil litigator in 1988, and obtained a Master of Laws degree in Alternative Dispute Resolution from York University in 1999. Richard is the author of a loose leaf text entitled Property Damage Claims Under Commercial Insurance Policies, which is now updated annually by others. He has delivered papers and spoken on a wide variety of legal topics, including the interpretations of Commercial insurance policies, and as a panelist on an Ontario Bar Association mediation panel. Richard’s approach to mediation is proactive. He encourages the parties to critically analyze not only the strength of their case, but also its weakness, to properly set a settlement range. This encourages the parties to adopt an analytical rather than combative approach, thereby making the mediation process more cost efficient and pleasant, and increasing the chances of reaching a settlement. With over 10 years’ experience as an arbitrator and mediator, Richard will work with you to design and deliver an arbitration process that begins with a fair, balanced, and cost effective hearing, and concludes with a carefully considered and timely decision.